1. I ran 7.88 miles last night after work, which I haven’t done in a long time. Despite it threatening to rain and the wind blowing me around, it was actually a pretty good run. I averaged a pace of 10:46, which I’m pretty excited about. I’m pretty impressed that my phone took that picture. I’m willing to bet that the Russian Olive trees are out in full force up in Boulder too, which has me contemplating a run around my 9 mile loop again tomorrow. 2. My parents are flying to Mexico tomorrow and conveniently, they have a layover in Denver! So Travis and I will trek out to the airport early tomorrow morning (like 7 am!) to have breakfast with them. It’ll totally be worth it though. Maybe I can convince them to squeeze me in their carry-on and take me to Mexico too? Work has been incredibly busy this week so I am feeling very in need of a vacation. I received my package from Lisa last Saturday, which was perfect timing because I was out of fuel and had forgotten to go to the store. 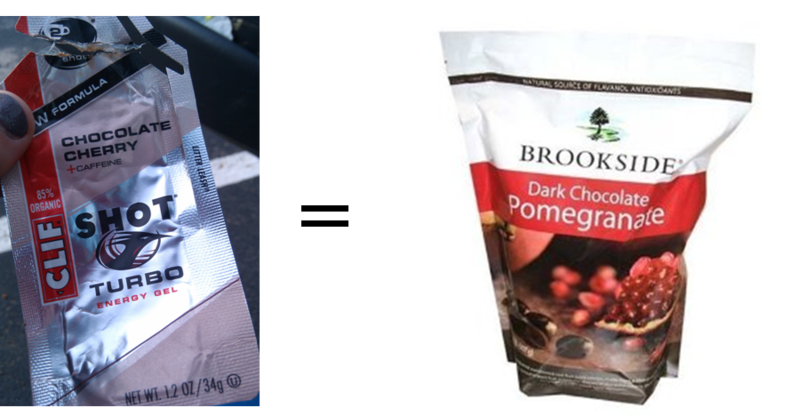 I packed a Chocolate Cherry and a Chocolate gel. 4. I think I may have solved my blister problem by using different socks and slathering on the Body Glide. We’ll see how things go tomorrow on my 10-miler! 5. 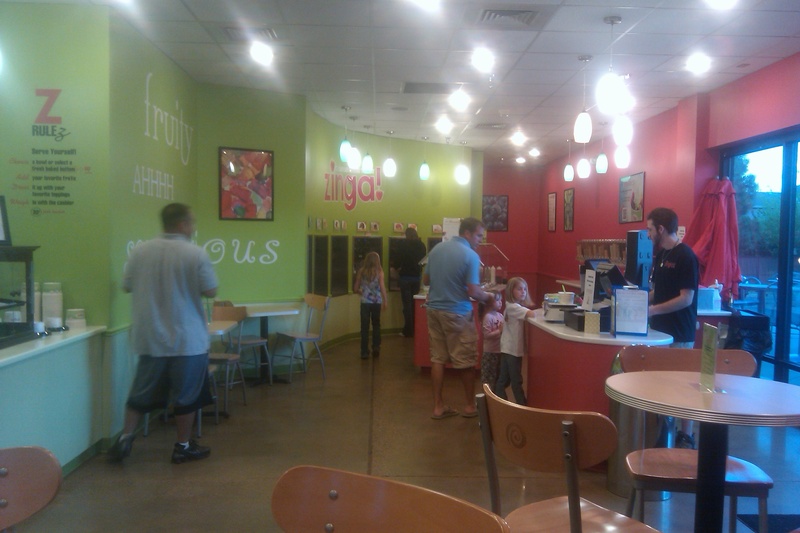 I tried out a new frozen yogurt shop on Wednesday with some friends from church. It’s called Zinga! and I really enjoyed it. They had fewer flavors than Yogurtland but every flavor I tried was delicious. I loaded up my bowl with Raspberry, Cake Batter, Cherry Amaretto, and Mocha Latte, and loaded on the toppings. The M&M’s got all hard from the frozen yogurt, which made they really crunchy. I will not make that mistake again. 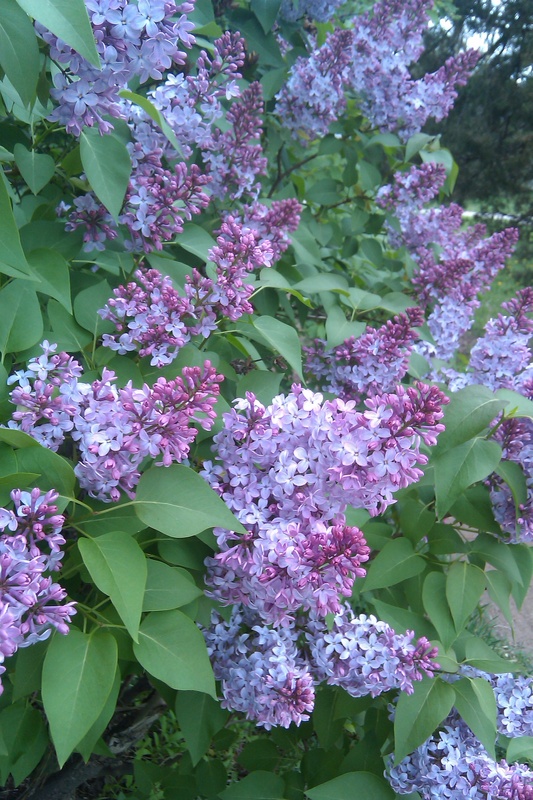 Gorgeous lilacs! Ours aren’t blooming yet around here. Nearly 8 miles on a weekday is awesome. So glad the package of fuel arrived. I wish I would have had more chocolate cherry to send you. I’ve found that I think I like the Clif gels better than gu too. And thank you for the thank you. 🙂 It was the absolute best thing to get. So thoughtful!